Very interesting and kind of ominous in a way . . .
No, at least that wasn't my intent. 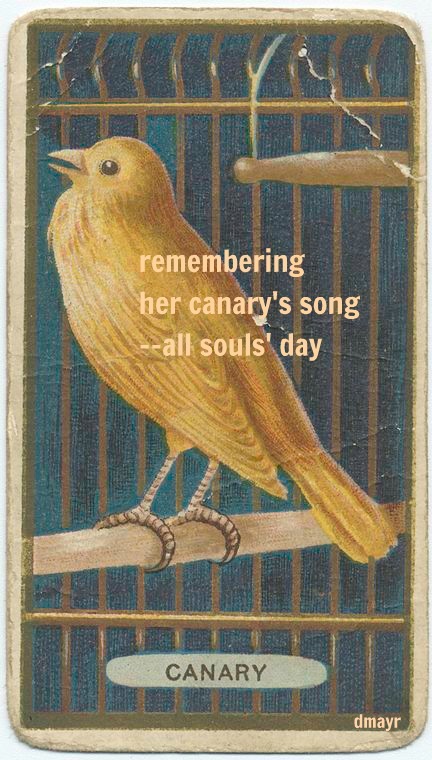 My grandmother always had a canary, it was simply a remembrance! But, one of the great things about haiku is that its brevity invites readers to put their own spin on it!